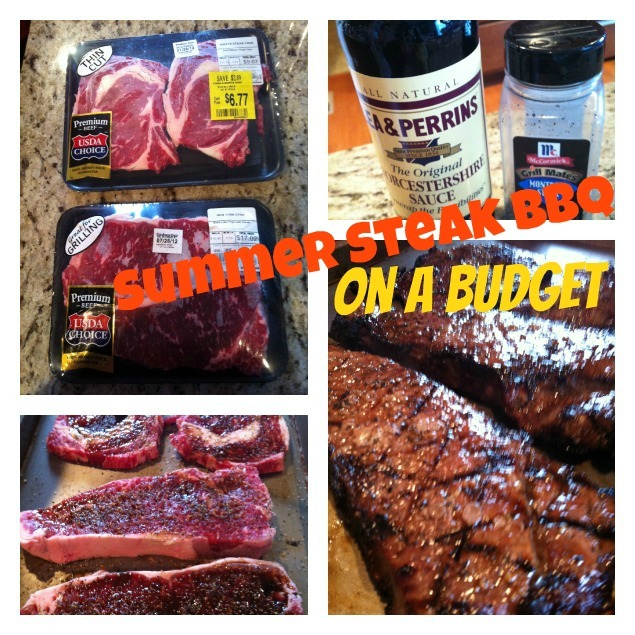 Tempt My Tummy Tuesday… Summer Steak BBQ on a Budget and Walmart Gift Card Giveaway! Our family loves to grill and I consider my husband the grill master. Actually all our extended family thinks my hubby, Chris, is the best at the grill as well. He has spoiled me. I no longer enjoy a steak at a steak house or restaurant as I prefer how Chris grills my steaks. Spoiled? Why yes I am. But buying steaks can be expensive and we just don’t do it very often. 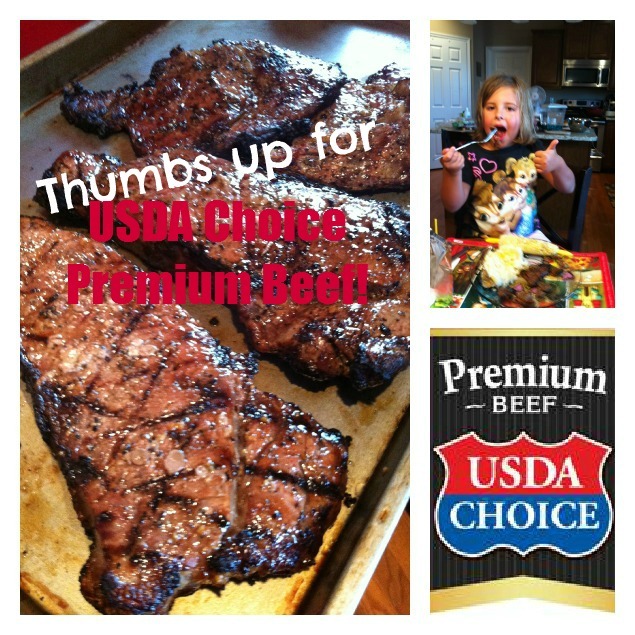 So, when I was approached to get the word out about Walmart’s new line of top quality USDA Choice steaks by creating the best summer BBQ on a budget possible I was quick to say yes. Customers across the country can now enjoy Walmart’s premium selection and wide assortment of top quality USDA Choice steak, including T-bone, NY Strip, Filet, Rib eye, and Top Sirloin, at a great price. Walmart selects the best USDA Choice cuts, tender-ages the steak to perfection, and, as we do with all our steaks, makes sure it undergoes rigorous USDA inspections for quality and safety. In fact, only 1 in 5 steaks qualify for Walmart’s USDA Choice Premium Beef label. Walmart is so confident that you’ll love our top quality USDA Choice steaks that we offer a 100% Money Back Satisfaction Guarantee. If you aren’t fully satisfied, just bring back your receipt for your money back. It is easy to tell which steaks at Walmart are USDA Premium Beef – just look for the black tray packaging in the meat section. On a recent shopping trip to Walmart I was able to purchase a USDA Choice package of two thick cut New York strips as well as a package of two thin cut rib eyes. My 5 year old daughter loves steak as much as her parents, so I buy a thin cut for her. I was excited to find the rib eyes were marked down that day! You may not be able to tell from the picture, but the yellow tag on the rib eye says $6.77! Woo hoo! I have often found the USDA Choice steaks are marked down. If you are not looking for one particular cut, you can buy the marked down steak and keep the budget in line. The marked down steak will say to use or freeze by a particular date which is usually that date. I love to buy them and just stick them in the freezer until ready to grill. I also bought fresh sweet corn on sale in the produce section and ingredients for a fresh salad. Now we are ready for a summer steak BBQ on a budget! We season our steaks with McCormick Montreal Steak Seasoning and Lea & Perrins Worcestershire Sauce and always keep these ingredients on hand for steaks and hamburgers. You will see from the picture, my Montreal Steak seasoning is almost empty! We use it all the time. My husband will shake the Montreal seasoning and Worcestershire sauce on both sides of each steak, then let them sit to marinade for about 30 minutes. Then… off to the grill they go. We were very please with the flavor and quality of our steaks. I have to be honest, we have stayed away from buying steaks at Walmart for several years. We were just never satisfied with the quality. Well….. that is no longer the case. We will be buying our USDA Choice Premium Steaks at Walmart for now on… We already buy all our other groceries at Walmart due to the everyday low pricing guarantee. Now we will be buying our steaks there as well! I was provided with a $25 Walmart gift card to buy the steaks and other ingredients for our BBQ on a budget. GUESS WHAT? 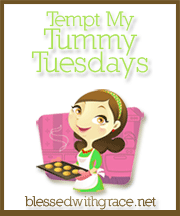 One Tempt My Tummy Tuesday participant will also receive a a $25 Walmart gift card!! Participate in the Tempt My Tummy Tuesday recipe carnival this week by linking your recipe AND you must link back to this post. Leave a comment telling me you linked up and linked back to this post. Mention this giveaway on Twitter. 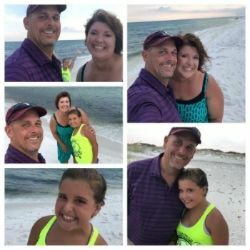 You can say “A summer BBQ is better on a budget-$25 gift card giveaway @Blessedwgrace”. You must leave a separate comment telling me about your tweet. Mention the giveaway on Facebook and linking back to this post. You must leave a separate comment telling me about your FB post. Follow Blessed With Grace on Facebook and leave a separate comment telling me you did so. I will close the giveaway on Monday, August 20th at 5pm. The winner will be chosen by random. Disclaimer: I was given a $25 Walmart gift card to purchase the USDA Choice steaks from Walmart. However, my comments and opinions about the quality of the steaks are all mine. I linked up my Breakfast Bowls and I mentioned the giveaway. 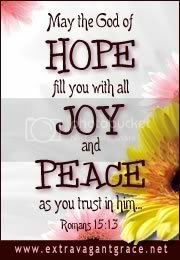 I like Blessed with Grace on Facebook! Thanks for the giveaway! And thank you as always for hosting! Hi Lisa! Great give away! I’ve linked up my Busy Morning Smoothies and mentioned the give away in my post. Thank you again! And thanks bunches for hosting! This week I have shared a Cran-Orange Coconut Cake. Thank you for hosting! Hi Lisa! I’m rejoining TMTT after a blogging hiatus to have our first child. I’m hoping the second, now due at Thanksgiving, doesn’t throw me for quite such a big loop lol! I have to admit I’m not much of a Walmart fan, partly just because we don’t have one near us. But I have seen their new steak ads and wondered if the meat was really good. I’m glad to hear a real world opinion! We, too love steak and my hubby is the grilled of our house lol! Thanks for hosting and I’m glad to be back here! Thanks for hosting, that steak looks delish! Linked up my Fruit Slush recipe and linked back as always. I linked up my mu shu tofu and linked back. I linked up my mini cheeseburger cups and linked back. Lisa, I am sharing a Stuffed Zucchini Boat recipe this week ☺ I am linked in and linked up. Now, back to the top to see what else I need to do for your contest. Thanks for hosting! Hey Lisa…I went ahead and shared your post link on my fb home page and my Allergies and Celiac page. Last, but not least…I like your page ☺ I really thought I had done that already, but I guess I hadn’t. So glad I found it. This was a great give-away! Previous post: Tempt My Tummy Tuesday…..Summer Salads!